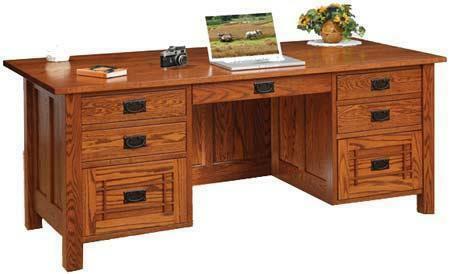 The attention to detail contributes to making the Amish Franklin Mission Executive Desk a true stand out in your home office. This mission style desk takes center stage with your choice of custom size. The Franklin Mission is offered in a 66" or 72" width and offers plenty of work space and storage space.